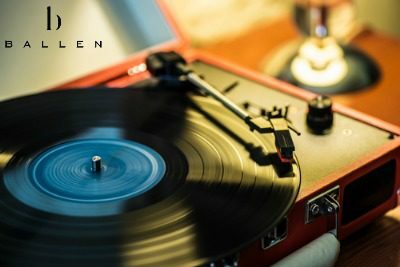 There’s something about the sound of classic vinyl – a smooth hissing hum behind the songs, a crackle and pop melting into the music. Something magical happens when the needle hits the record. This sound disappeared for the most part with the advent of 8 tracks and cassette tapes, and eventually into c.d.s and mp3s – although those means did allow the music to become mobile. People wanted music that could move with them – in the car, to the gym, or anywhere else they wanted to feel the beat, and record players were stationary and not portable. But to the die-hard record fans, those who still own old-school record players, there’s an irreplaceable richness in the quality of music permeating from vintage vinyl and retro records. Record City in Las Vegas, Nevada celebrates those sounds with two locations of record shops selling vintage vinyl, modern music, movies, and other collectible items. Record City in Las Vegas has received several “Best of” awards, honorably mentioned in the local newspaper, the Las Vegas Review-Journal. Each location offers limited edition records not available in retail stores. Record City’s two locations are at 300 E. Sahara Avenue, two blocks east of the Las Vegas strip, and at 4555 E. Charleston Boulevard between Lamb and Nellis Boulevard. The location on East Sahara is open for business Monday through Saturday from 9 a.m. – 5 p.m, and the East Charleston venue is open from 10 a.m. – 6 p.m. Monday through Saturday. LP’s, CD’s, DVD’s, 45’s, and More! 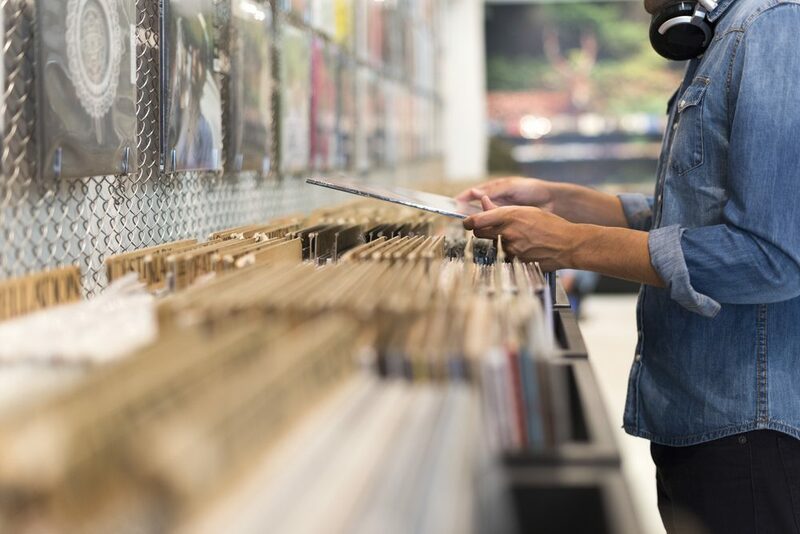 Record City has matured with mainstream media over the decades, so their Las Vegas offerings have grown to include modern music formats like compact discs and mp3s, but they’re known for their tribute to the treasured classic vinyl records. Back in the day, a 45 record would hold a hit release and two or three other songs from an artist while the 72 was a full album containing 10-12 songs. From hit bands to movie soundtracks, 70’s babies and their predecessors cherished records, and nearly every home in America sported at least one record player. But since the advent of modern music, such records have become rare collectibles. Today’s youth may not even recognize a record, or relate to its rich sounds. But the collectors will pay big bucks for a decent record. In the nineties, compact discs were a portable version of the record with higher quality sound, replacing the eight track and cassette tapes of the 80s, and then the MP3 space-saving digital formats became the rave of the new millennium. “Mixing records” became popular in the 80s where DJs would spin records for a unique way to scratch new sounds from the vinyl discs, but by and large, records were being phased out as new music formats made music easier to transport and listen to from anywhere. Yesterday’s cassette-playing Walkman and infamous boom box have given way to today’s mp3 players and cloud-based music. Some collectors gather records for the sheer joy of listening to their unique needle-threaded sounds, but records have become popular creative tools. Some photographers collect records to line walls and floors in a set to give teens a fun and funky “retro, vintage” feel in their high school senior portraits. Some records, such as those from artists like the Supremes, Jimi Hendrix, Lynyrd Skynyrd, the Beatles, and others may be worth substantial amounts of money. Should you happen to come across old records of suspected value, you may consider offering them for sale to Record City. Record City has been in operation in Las Vegas for more than twenty years, back when records were the primary platform for music. Since that time, Record City has evolved and expanded to include vintage vinyl and retro records as well as modern mainstream formats. Record City also offers movies and other collectibles. So go ahead, dust off that old LP, lift the lid on the player, and let the needle hit the record.